Like many common names, the common name for Asparagus densiflorus is incredibly misleading as it is not a fern. It probably gets the common name due to its feather-like foliage, and in some cultivars it does greatly resemble a fern (having been bred for short branches instead of the 50 cm or larger branches that can occur in the wild species). The asparagus fern is native to Africa, in a region from Mozambique south to South Africa. 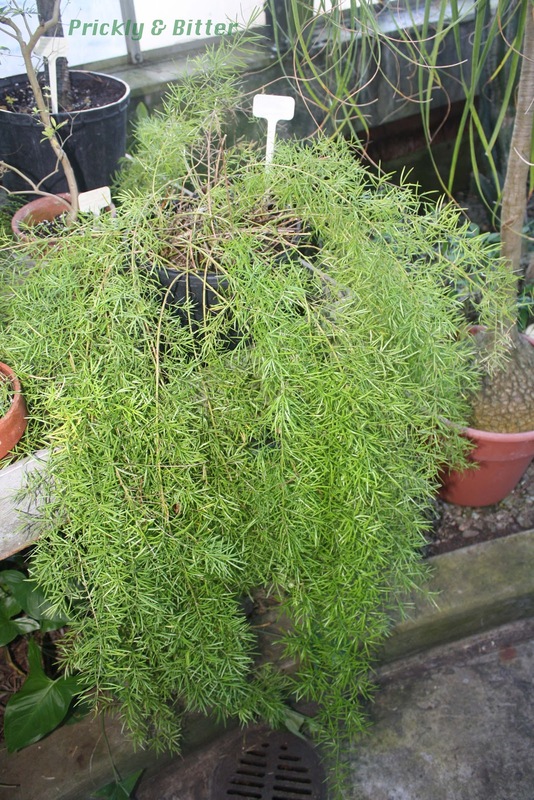 Both this plant and a very close relative, A. aethiopicus, are very common greenhouse plants, houseplants, and landscaping plants. 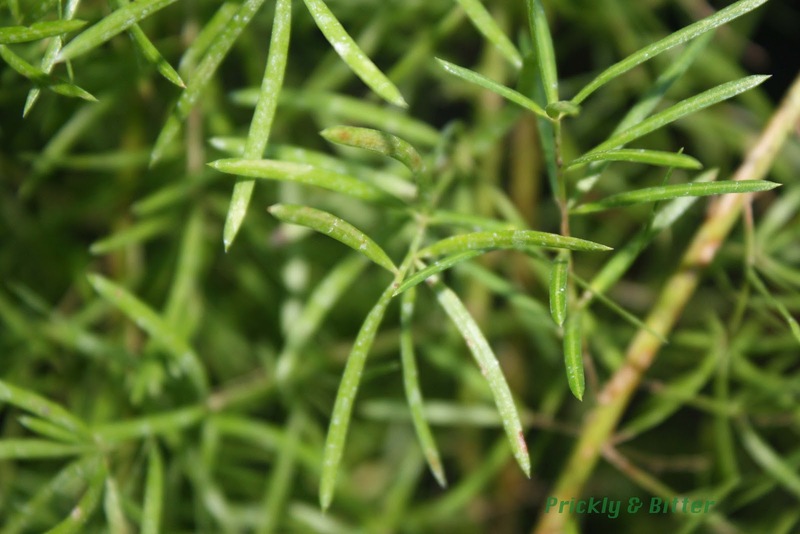 Contrary to popular belief, the asparagus fern is not invasive in the southern United States, where it can survive being planted outdoors year round. 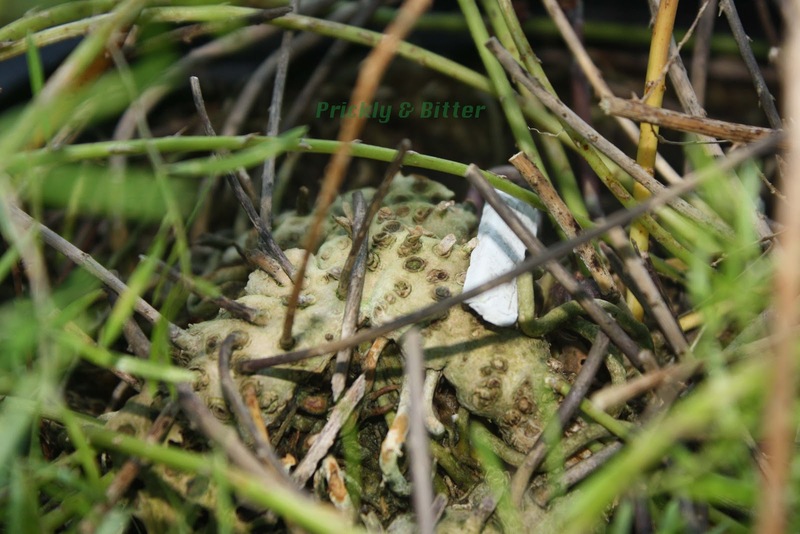 It is unfortunately commonly mistaken for other close relatives, which ARE invasive and can be a menace to native flora due to the incredible network of underground rhizomes from which the upright stems grow. Once established, certain Asparagus species can be darn near impossible to eradicate, and most are resistant to RoundUp (remember that RoundUp is a broadleaf defoliant; Asparagus is a monocot and not a broadleaf plant so it should not be surprising that it is largely unaffected by this common herbicide!). The main use of this plant and its very close relatives is as greenery in floral arrangements. Any kind of feathery green foliage that you get when you buy flower bouquets are probably the "fluffy" cultivars of A. densiflorus or A. plumosus. 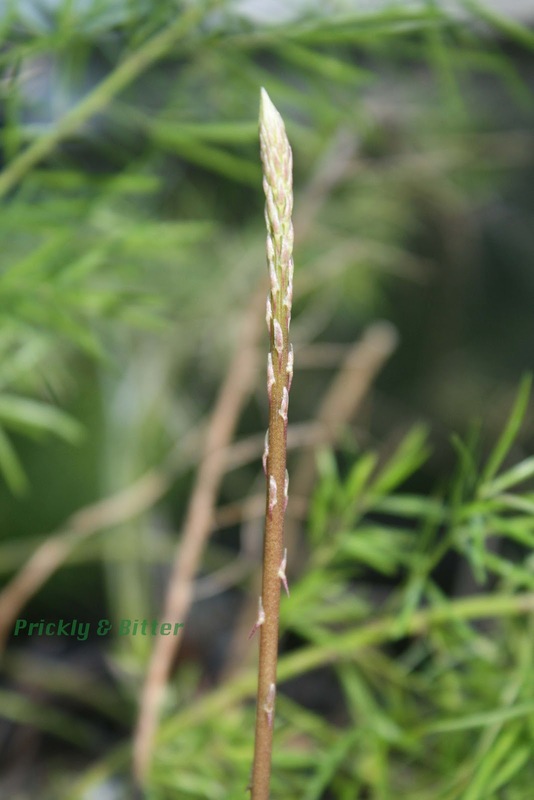 Like many Asparagus species, this plant can have very sharp spines along its stem which can wreak havoc on clothing and skin. It produces white to pink flowers which mature into red fruit; the juices from the fruit are toxic and so should not be consumed. When the leaves are crushed they can also irritate the skin in much the same way that poison ivy does, but the irritation is much shorter lived (only about 20-30 minutes or so). Despite being relatively benign to humans, consuming any part of this plant will kill a dog or a cat, so if you do grow it as a house plant make sure your animals stay away from it!